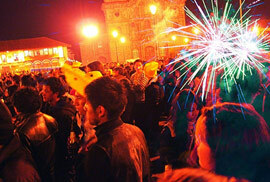 Cusco is probably the best place to celebrate New Year’s Eve in South America. 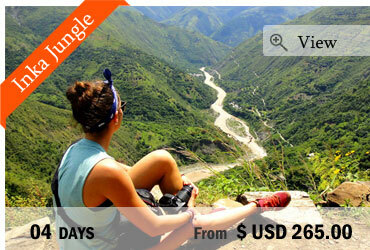 In fact, it is one of the top 10 best places in the world to do so. It’s a really unique atmosphere when hundreds of people gather in the city’s main square (Plaza de Armas) and celebrate. Join them for the most incredible night of your lifetime which will for sure be one of your holidays’ best memories. 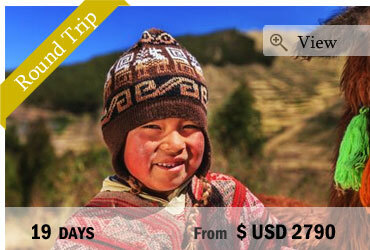 In South America, Cusco is probably the best place to celebrate New Year’s. In fact, it is one of the top 10 best places in the world to do so. It’s a really particular atmosphere when hundreds of people gather in the city’s main square (Plaza de Armas) and celebrate. 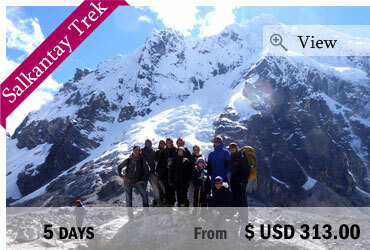 Tourists from all over South America, the U.S and the rest of the world come to Cusco just for this day. As midnight approaches, the Plaza is getting more and more crowded, fireworks start to be lit up from all over the streets and people start to walk or run around the plaza which is supposed to bring good luck. Circling the Plaza seven times will bring happiness and good luck in the New Year. One of the other Peruvian traditions on New Year’s Eve is to wear yellow clothes or accessories and even underwear. Indeed, yellow represents change and rebirth, specifying a new beginning. This ritual is not well-known among foreigners but once you live in Cusco for some time this is ritual has to be embraced. There is another ritual in Cusco, taken from the Spanish people: eating 12 grapes at midnight. This is an old custom from Spain brought to Peru by the conquerors and still holds until today. The grapes represents the new year and it’s 12 month and eating 12 will provide you with good luck for each one. Another popular tradition is to burn dummies made either with old clothes to represent the new beginning or made to look like politicians or celebrities that were in the news quite often the last year and made negative headlines. You can finish the night in one of the numerous clubs of Cusco. And if you are still standing the next morning you can climb up to Sacsayhuaman or Christo Blanco to enjoy the first sunrise in the new year. End of our services.